Start Growing Professional Gardens Today! Welcome! If you are new here, you might want to subscribe to the RSS feed for updates on the latest how to garden advice published! 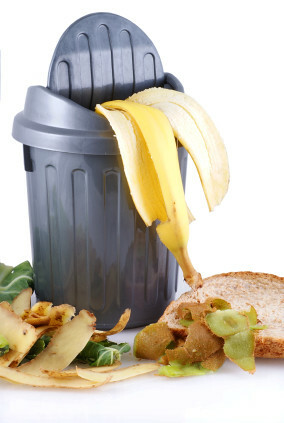 Do you have a composting bin? Are you thinking about purchasing one? If you do, there are various accessories that you should know about. 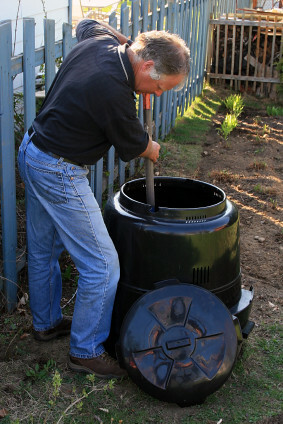 Compost pails are small chrome or ceramic pails that can hold up to a gallon or two of waste. They are air tight and feature a replaceable carbon filter to prevent odors from seeping out of the pail. Compost pails are essential to composting, because you can easily dispose of your scraps in the kitchen and save yourself many trips in and out of the house. Every few days you can empty the pail in your compost bin. A liner bag is a compost pail liner that helps clean out the compost pail easily without making a mess. These bags also help reduce odor and are bio-degradable, so you can toss the whole thing into the compost bin. They fit in most containers up to 15 quarts. By using these bags, you will never have to deal with the hassle of cleaning your compost pail again. Compost turning tools are used for turning your compost pile. There are various types of tools that you can use to accomplish this task. Two common examples are the compost aerator and the compost fork. The aerator, sometimes referred to as compost turning tool, looks like a rod with wings at the bottom. When an aerator is plunged into a compost pile, the motion of the plunge and the wings turn the pile, while helping it aerate. Aeration is important, because it speeds up the process of decomposition. The compost fork, on the other hand, looks like a pitchfork. This tool is used to pick up, turn, and mix the compost pile, allowing it to properly break down and aerate. The leaf scoop, a leaf collection tool, acts like a giant hand, allowing you to easily scoop up large amounts of leaves to place in your compost pile. Leaves are important additions to your compost pile, because if you have too many food scraps, it can delay the decomposition process. 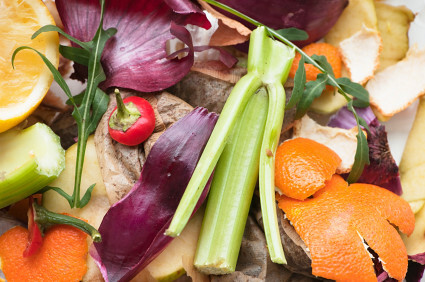 Food scraps are rich in Nitrogen, whereas leaves are rich in Carbon. The more balanced Nitrogen and Carbon is in your compost pile, the quicker and more efficient the process of decomposition will be. To quicken the process even more, you may want to consider using an electric leaf shredder to shred the leaves into small pieces. The smaller pieces will speed up the breakdown of your compost. A compost starter is a natural substance that activates the process of decomposition and aids in the digestion of organic waste. Containers of compost starter are small, because only a few ounces can treat up to 1000 pounds of organic waste. This product is also easy to use; all you have to do is mix the powder with water and spread it evenly over the compost pile. 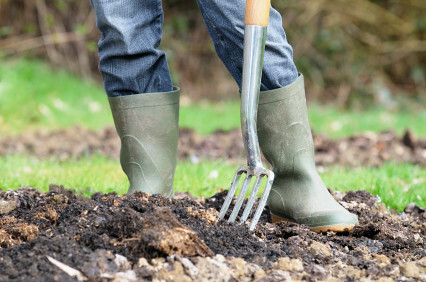 A compost activator also plays an important role in the decomposition process, because it speeds up the time it takes and helps maintain an ideal pH balance. If you have matter that is difficult to compost, compost activator can speed up the process. 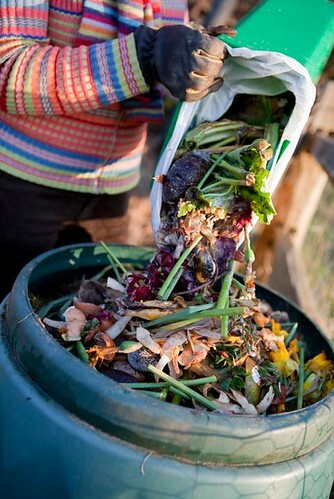 A compost pail, bio bag, leaf collection tool, compost starter, and compost activator are all essential for creating the best quality compost out of your organic waste. Without these accessories, the process of decomposition will take much more time, work, and create low quality compost. Thanks, we appreciate your support very much! What All Can You Compost? This entry was posted in Compost Gardening Articles, How to Compost Advice and tagged Bio Bag, Compost Accessories, Compost Activator, Compost Aerator, Compost Pail, Compost Starter, Compost Thermometer, Composting Accessories, Leaf Collection Tool. Bookmark the permalink. What is your top 2 favorite types of gardening?